“It’s one of those incredible stories you didn’t know existed. It filled a void.” — Jon Stewart, "The Daily Show." The critics rave about Empty Mansions. “It’s one of those incredible stories you didn’t know existed. It filled a void.” — Jon Stewart, "The Daily Show." Watch the interview here. One of 10 finalists in the Goodreads Choice Awards 2013, in history and biography category. One of the 100 best books of 2013 — Amazon. One of the five best biographies of 2013 — Biographile. 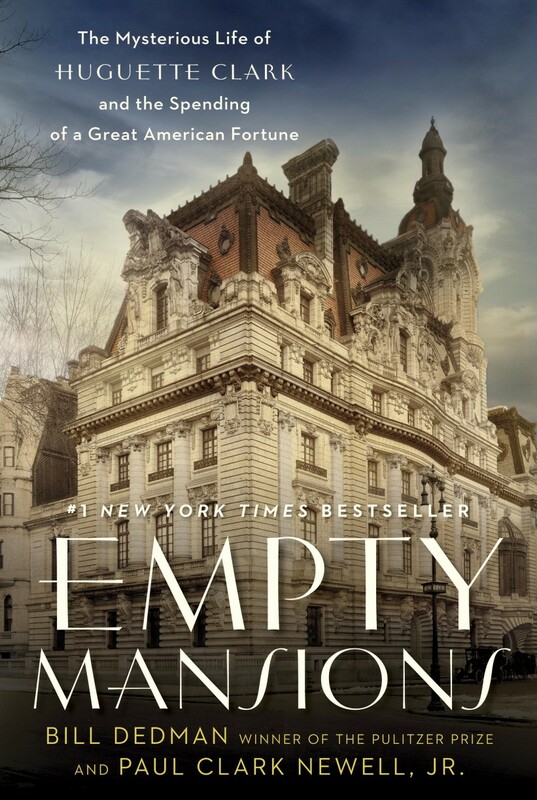 Publishers Weekly calls Empty Mansions “riveting … deliciously scandalous … a thrilling study of the responsibilities and privileges that come with great wealth.” Read the starred review. "Empty Mansions is a dazzlement and a wonder. Bill Dedman and Paul Newell unravel a great character, Huguette Clark, a shy soul akin to Boo Radley in To Kill a Mockingbird—if Boo’s father had been as rich as Rockefeller. This is an enchanting journey into the mysteries of the mind, a true-to-life exploration of strangeness and delight.” — Pat Conroy, author of "The Death of Santini: The Story of a Father and His Son"
Empty Mansions is an “Edward’s Biography Pick” and “Featured New Arrival” at Barnes & Noble and a “Best Book of the Month” in history at Amazon. “More than a biography, more than a mystery, Empty Mansions is a real-life American Bleak House, an arresting tale about misplaced souls sketched on a canvas that stretches from coast to coast, from riotous mining camps to the gilded dwellings of the very, very rich.” — John A. Farrell, author of "Clarence Darrow: Attorney for the Damned"